Although Tahira and Mujeeb Mirza have won numerous awards for their growing abilities, their latest endeavour may just be the best one yet. 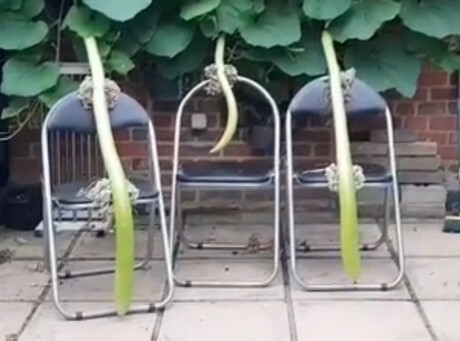 The couple managed to grow a few dudhis (gourds) to a staggering 4ft 10in (125 cm) in height. "We are very proud that for a few years we have been getting awards also for our garden from Croydon Council," Mrs Mirza said. "We have a small garden but enjoy all types of fruits and vegetables." Her plan for the dudhis? "If you make it with lamb and vegetable curry, it really is a great meal," she said. "If you eat it, only then will you know the taste of it."